We have a partnership with Faller in Gütenbach in Germany. 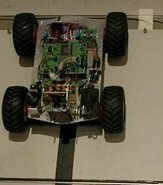 We develop and produce electronic positioning and radio components for Faller to be used in the Faller Car product program. Gullivers gate develops and operates large exhibition layouts. GamesOnTrack constitutes the operational environment for more layouts, especially the New Airport with 3D positioning of plains and vehicles. We develop and produce model railway electronics. We have a partnership with Uhlenbrock Elektronik GmbH in Bottrop in Germany with respect to development and production within DCC and model railway components. 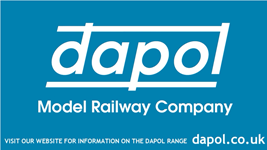 Together with Dapol Ltd from UK we do a project to use our radio and positioning capabilities for small scale trains like N and H0, more to come. We have a partnership with DCC-supplies in UK with respect to Development of new DCC-equipment and selling in UK. Niche Frontiere in Malaysia develops drone solution projects and governmental solutions based on GT-Drone and our IPS solutions.